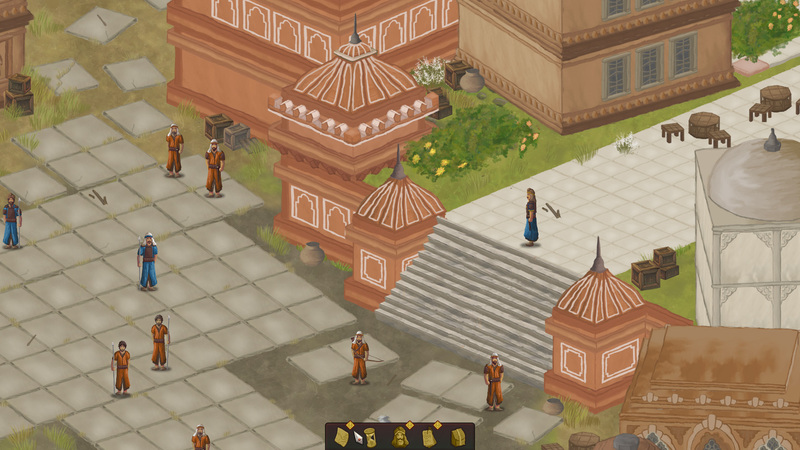 Developed by Jaipur-based Pyrodactyl Games, Unrest is one of the better PC games to come out of India, besides actually being set in an ancient Indian (fictional) city, Bhimra. Placing you in the shoes (sandals? chappals?) of multiple characters in this tumultuous time, the game is driven by dialogue: every character his his or her own motives, customs and place in the story, with some truly remarkable writing. The crux of Unrest, truly, is the narrative, tackling several themes that are very much Indian, such as caste-based discrimination, with fantastical elements. Unrest is truly a game that brings pride to its country of origin. A highly conceptual game, Stay, Mum is one of the most polished, elegant games made by an Indian dev (Delhi-based Lucid Labs). Although packaged as a puzzle game, this is an emotional journey, that explores the relationship between a young son and his mother, struggling to give him her time in a busy world. It is a creative and imaginative take on a child’s perspective of the loneliness that has overtaken many modern social relationships. The visuals are sharp yet simple, the gameplay is minimal and effective,and the soundtrack serene. Receiving international attention and acclaim, Stay, Mum is a legitimate Indian jewel. The premise of Bird of Light seems simple enough: run through the level and collect all the eggs, unlock the door, and advance to the next level. Yet, as the tagline states, the ways to this are many. The primary gameplay component here is the ubiquitous 3D runner, jumping about, collecting the scattered pieces on screen. However, the key element that sets this game apart from other ‘endless runners’ is the pre-game construction of your playing field; given a limited number of tiles, the player must arrange the pieces to build the best possible path for your character. Speaking of character, Tara, the protagonist is provided a nice little backstory and some nicely done 3D cutscenes to explain the game’s purpose. On the whole, Roach Interactive has outdone many other devs with a seamless integration of an array of gameplay elements, thereby making a game that will appeal to every player, Indian or otherwise. Easily the quirkiest game on this list, QUICKTEQUILA’s Lovely Planet is an LSD trip-induced FPS almost certainly developed after an anime marathon. Run around, shoot the bad(?) guys/blocks/colour things with your cutesy gun and wonder how much drugs we Indians are actually doing. Really, there’s little else for me to say here. Consider this our tribute to kawaii, complete with levels harder to crack than the IIT-JEE. UNWYND is a puzzle game that is adamant in its difficulty curve: it isn’t here to please casual gamers, it’s here for the purists. The game employs a simple swipe based mechanic in order to solve crafty combo – based puzzles, with multiple solutions to each level encouraging gamers to explore the various options. The UI is intuitive and simple, with little clutter. The visuals are well-suited to the game’s stated purpose, colorful enough to pop out of your screen, but not garish. UNWYND made it to the iTunes App Store’s Best of 2015 selection, making this- and developers Dropout Games- a gold standard for Indian devs looking to build a successful puzzle game. So there you have it, the games that have left their mark on the rapidly growing Indian game dev scene. Here’s hoping we have tons more games to fill such lists in the coming years. Oh, and happy Republic Day! Previous articleWhat Do We Know about XCOM 2 So Far?